Hello, We are Xcidic (www.xcidic.com)! Xcidic is a technology company from Singapore! 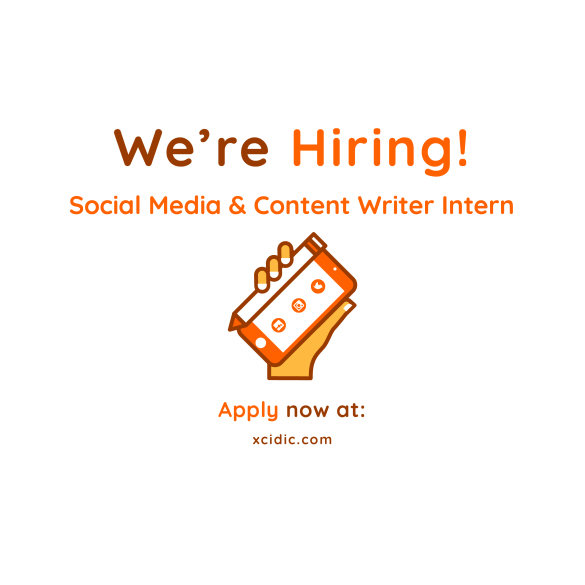 We’re currently looking for Content Writer and Social Media Intern to join us! 1. Fluent in English is a must. 2. Experienced in content creation for a range of digital platforms (blog, social media, email marketing, etc) and have a great attention to details. 3. Familiar in handling various social media platforms (Twitter, FB, Instagram). 4. Understanding basic design skills and principles would be an advantage. 5. Passionate and knowledgable in technology and marketing would be desirable. Description Xcidic is a fast-growing company based in Singapore with a focus on re-defining web development. We love data and care deeply about creative design at the front-end as well as the beautiful coding at the back scene.